The most comprehensive reference tool for professionals working in the electrical industry has been updated! 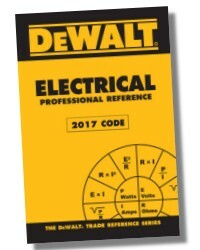 The DEWALT Electrical Professional Reference 2011 Edition has been revised to reflect the regulations and requirements contained in the National Electrical Code® 2017. 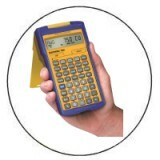 As the number one pocket reference guide in the industry, this is a must-have for professional building and technical trade contractors, service technicians, maintenance personnel, plant managers, engineers, designers, and architects alike. Intended for long-term use as an on-the-job professional reference, this durable text features a heavy-duty plastic cover designed to weather the elements and hold up to the roughest jobsites, so readers can access vital reference material anytime, anywhere. Easy-to-read charts and useful illustrations allow for quick, confident consultation when time is tight and conditions are stressful, making the text an invaluable on-the-job reference. The author clarifies key concepts with detailed tables, figures, and formulas to help accelerate learning and enhance understanding, so students can ensure full code compliance. 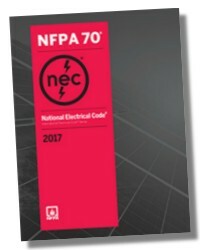 Designed to address the needs of both aspiring and active professionals, the book serves as a single source for almost all data electricians are likely to require on the job. A unique, lay-flat binding allows the book to stay open when set down, allowing readers to refer to information they need on the job even when both hands are occupied.